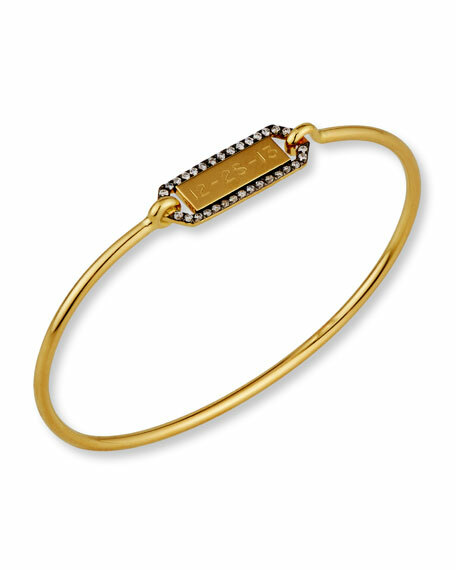 Jemma Wynne bracelet from the Prive Collection. 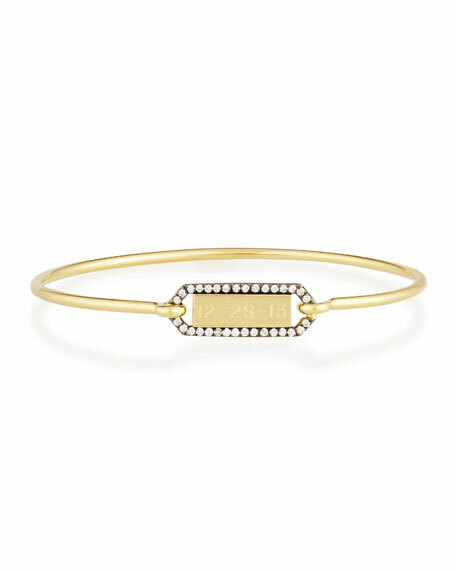 Polished 18-karat yellow gold bangle. Rectangular station with blackened pavé diamond border. Personalize with script engraving; up to 10 characters. For in-store inquiries, use sku #2135203.